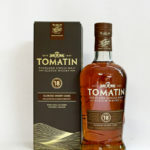 The distillery say "The Tomatin 12 Years Old is smooth and silky, having been matured in traditional Scotch whisky ex-bourbon and ex-Spanish Sherry casks. 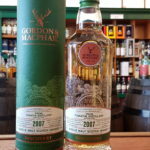 A rich fruity aroma is the prelude to sweet flavours of ripe apples, pears and a subtle hint of nut before the long, pleasantly oily finish." 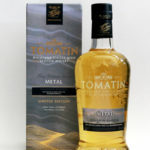 This Tomatin was distilled on 6 June 2003. 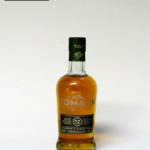 It spent the next 10 years in traditional scotch whisky oak casks. On 1 May 2013 it was transferred into ex-Portuguese Moscatel wine barriques. 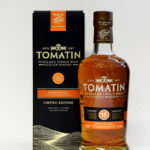 Tomatin describe this whisky as having flavours of toasted almonds and oranges, sun-dried raisins and figs, with a sweet and creamy finish. 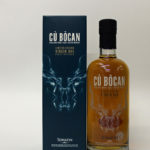 Cu Bocan has stalked residents of the remote highland village of Tomatin for many centuries, his legend embellished by the Hellhound's increasingly fractious behaviour. Sightings are rare, once in a generation, always terrifying. 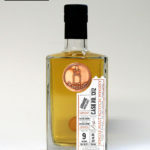 A distillery worker, out walking late, was once relentlessly pursued by an imposing black beast, steam spiralling from flared nostrils, teeth bared. 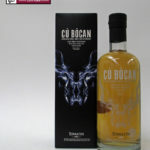 Compelled beyond all natural reason to feel the hound's dense fur he stopped and reached out, hand trembling, only to see the ghostly spectre - Cu Bocan - dissolve before his eyes leaving nothing but a vacuum of deathly silence and an inky blue cloud of smoke, soon spirited away across the peat moorland, Lightly peated (15ppm) single malt matured in a compelling combination of Virgin Oak, Bourbon and Sherry casks. 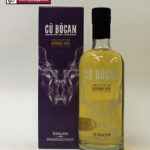 This limited edition Cu Bocan launched in July 2015 has been fully matured in bourbon casks to showcase the influence that Bourbon Oak has on their lightly peated single malt. 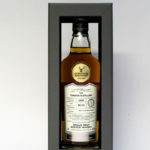 Only 6000 bottles have been released. 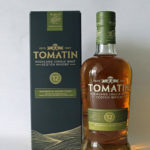 This whisky is light and delicate, true to traditional Tomatin style. 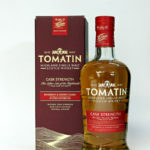 However the introduction of Virgin Oak casks into the mix offers a new dimension with a vibrant and enticing sweetness. 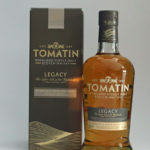 Matured in a combination of Bourbon barrels and Virgin Oak casks.